Have you recently moved to Daceyville? Are you keen on ensuring your family’s safety 24 hours a day, 7 days a week? Hire Fusion Locksmiths today to fix and secure your door locks and windows. Our response team responds fast to calls in case of a possible security breach on your property. Our Daceyville locksmith team will encourage you to call the police while we make a trip to your home to take care of the security threat at hand. Fusion Locksmiths has maintained good working relationships with locksmith manufacturers for a period of 9 years. We strive to give Daceyville, Kingsford and Botany residents the best locksmith’s services by working closely with manufacturers to ensure we’re always up to date giving and using the best locksmith services in the market. We have a range of architecturally designed locks that’ll match your home’s design, fitting in flawlessly with the architectural design while blending with the interior and exterior finishes on your home. Fusion Locksmiths not only upgrade your locks but we also ensure your homes security devices are top notch after contracting the services of our well-qualified response team. Our response team acts fast when called upon to deliver locksmith services in and around Daceyville. Our Daceyville locksmith’s have experience. 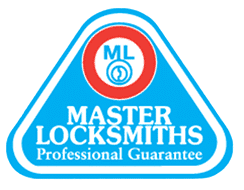 We’re also members of the Master Locksmiths Association and also possess relevant security licenses. Fusion Locksmiths have got you covered to ensure your family and business are totally safe and sound. Our team in Daceyville can handle big and small jobs. It doesn’t matter the services you need from us whether big or small we can deliver. From a simple rekey to installing complex security systems around your home, Fusion Locksmiths are capable and well equipped to handle all types of jobs. Call us today and request our services and we’ll respond with immediate effect whenever you need our services. 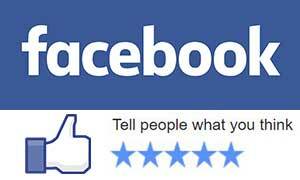 Fusion locksmith uses and recommends the industry’s leading security brands. Some of these brands include Lockwood and Whitco to provide quality services to Daceyville residents. These brands keep us up to date with the latest trends in locksmith technology in the market ensuring our customers are satisfied with our work. Has your Home or Apartment been broken into? Call your local Daceyville Locksmith today. We can give advice over the phone to make sure you and your family are safe before making a physical site visit. If your lock needs repair or a complete replacement, we will ensure that when we leave your premises will once again be completely secure.